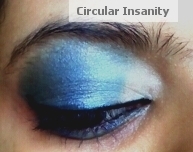 This is an entry for Circular Insanity's Electrifying Eye Makeup And Pick Your L'Oreal Ambassador Contest by Shruti!! I have taken inspiration from the beautiful shades of the water in the image of a Thailand Beach . 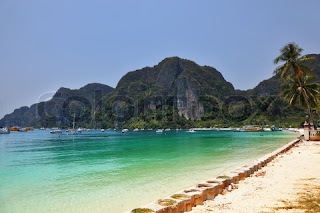 The beautiful golden light sand and the gentle subtle shades of green and blue is what attracted me. 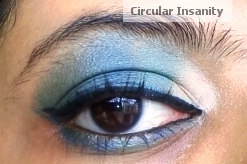 I have tried to recreate the shades in my make-up as much as possible. But this is my first try at make up and hope the flaws would be overlooked. 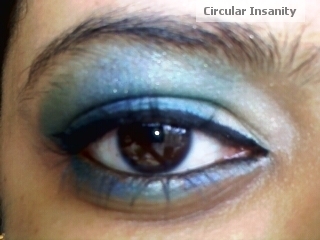 The products was were VOV eyeshadows palette , Maybelline colossal kajal, Maybelline Hypercurl Mascara and Maybelline Eye Pencils .